which when completed should grant you major achievement. At least it should be like that. On alliance side, when you complete all 9 smaller achievements you get no big achievement, no tittle, no pet, and when you link your achievements to someone else, it says its still in progress, even tho you got them completed, got points for them, got check. For horde side its different, achievement works, tittle doesn't.. 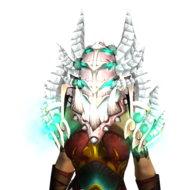 I wouldn't mind doing it again on horde char if I had time, but I'm going away til Tuesday, and event ends on Monday, so I won't be able to do it, and second of all, there is no logical reason why I should do world event on both sides just so I can get it on my alliance character. I request some higher rank GM or DEV or whoever, to grant me the rewards (at least title and achievement) I've deserved for completing the event implemented in game. PS: I've submitted screenshots of all the completed achievements and lack of major achievement. I have done all achievs on my Main char (Alliance) and i cant do it on horde side cuz i dont have any horde char anymore. "when you link your achievements to someone else, it says its still in progress"
And I've gotten 90 achievement points, which means all 9 achievements are completed. They just don't count up to big achievement progress, which is not my, but server's fault. Bugs cannot be reported on our forums, and Game Masters cannot assist you.